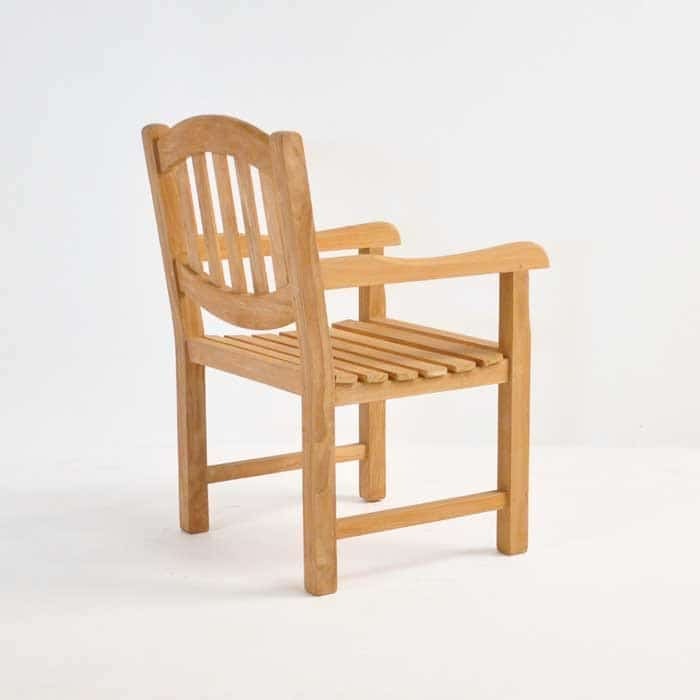 Inspired by mid-century country kitchens, the Ovalback Arm Chair is the perfect choice for framing a sturdy table or in the midst of a garden for a little retreat from your busy life. 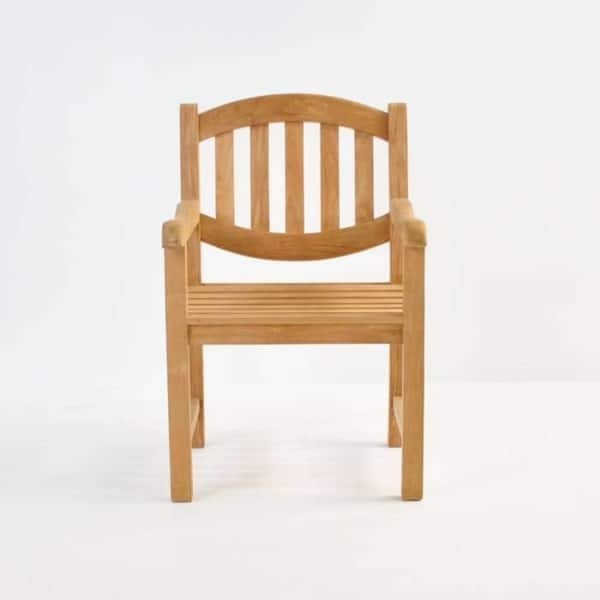 The design features an elegant curve at the top and base at the back of the chair, providing a comfortable seat and appealing design. Teak Warehouse also carries the Ovalback Benches in a 2 Seater or 3 Seater option, meaning you can make a superb garden setting, pair up this traditional arm chair with an Ovalback Side Chair and an Ovalback 2 or 3 Seater Bench for the ultimate wee relaxation spot on your patio! 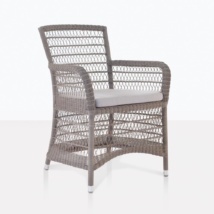 The Ovalback chairs are built to be a convenient dining height, ideal for outdoor dining. We love the Ovalback Arm Chairs with our oval tables – try a 70” > 94” Oval Extension Table with an Ovalback Arm Chair at either end and Ovalback Side Chairs, add a round Sunbrella Umbrella such as the 10ft in Canvas, to complete the charming setup. These traditional arm chairs also work well as a porch relaxing chair; place 3 along your front porch with a Small Nest Table in between each one… a quiet and tranquil spot to relax in at the end of a long day. 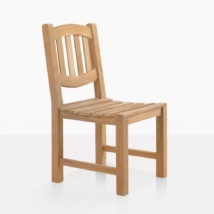 The Ovalback collection is made entirely of A-Grade Teak, fixed with marine grade glues and fitting. A-Grade Teak means it is the top quality of teak for outdoors, with high levels of natural oils and rubber, and ensuring a quality product that stands the test of time. 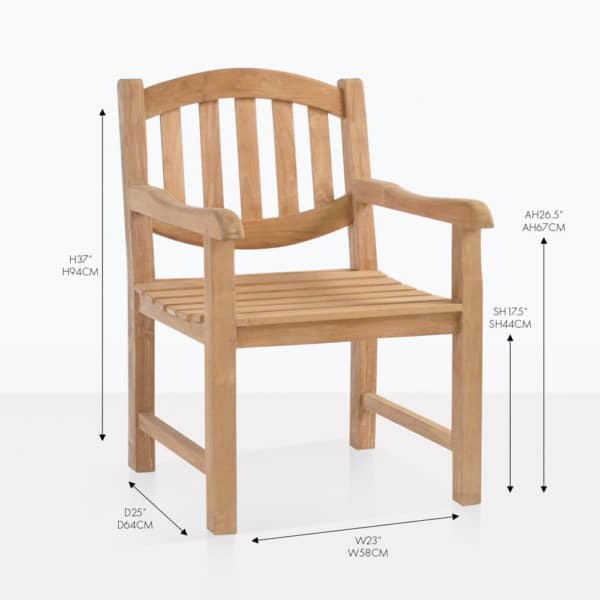 If you wish to know more about the Ovalback Arm Chair or any of our other products, please feel free to contact us by phone, email or in store! 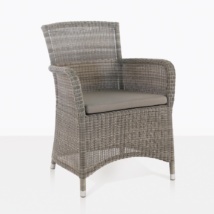 Our sales consultants are on hand 7 days a week to help you find the best outdoor furniture to suit your style and space!